The stage at Federation partner JDC’s social welfare center in Moscow stretches from Russia to Lithuania, from the 1800’s to today. 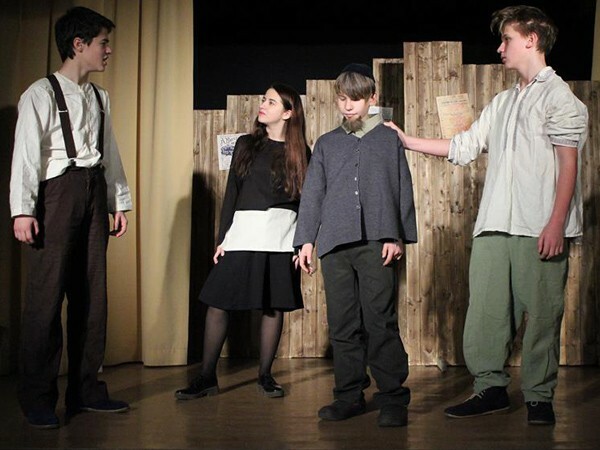 On it, students from the state-of-the-art ORT Moscow Technology School—run by Federation beneficiary World ORT—are transformed into amateur Jewish actors in 1930 Vilnius performing a play about the Dreyfus Affair that lands them in concentration camps. The show was filled with tears for its elderly Jewish audience. They cried during the show because the plot was one they recognized all too well from their own lives. They cried after it because meeting these young Jews with a world of possibility before them made manifest just how much things have changed since they were the students’ ages. Just another way Federation and its partner agencies are bridging generations and bringing Jews together all over the world.